Using decorative wreaths is an extremely popular way to dress up your home, whether you’re using the wreaths indoors or outdoors. 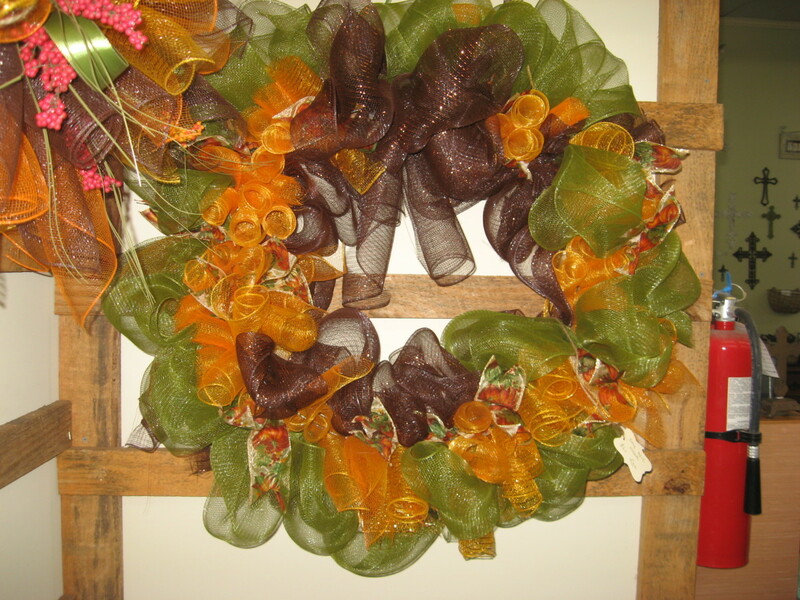 As a crafter, I’ve made hundreds of wreaths over the years, including some made with grapevines, twigs, flowers, straw, corn shucks, and foam forms. My newest endeavors have been made using mesh – geo mesh or deco mesh. Don’t know what I’m talking about? 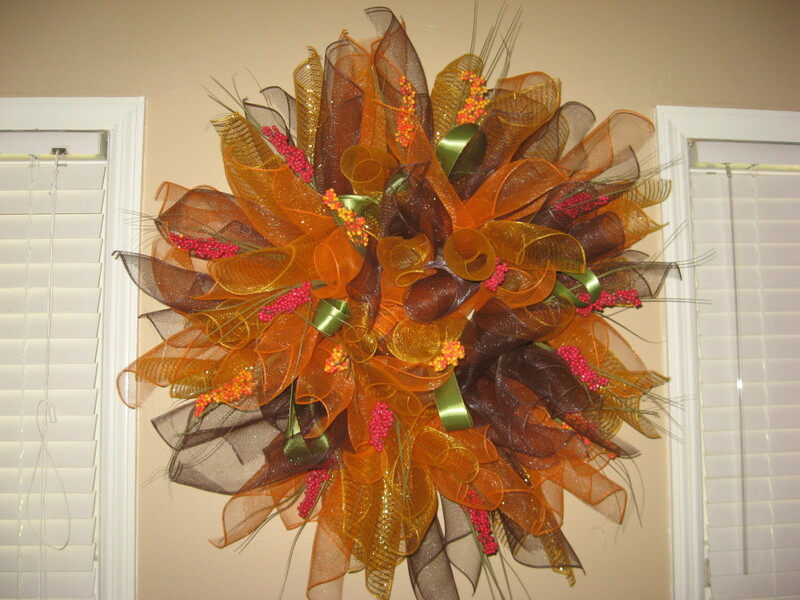 Unless you’re a total recluse, you’ve probably seen mesh wreaths around town. Most of them are nice and fluffy, and they might be in just about any color imaginable. If you’ve priced mesh wreaths you’ve seen for sale, you know they aren’t cheap, but you can save a bundle by making your own! Although these wreaths look complicated to make, they really aren’t. With just a little practice and some creative ideas, you can create your own mesh wreath that’s truly gorgeous! For tips on how to make a mesh wreath, read on! First, let’s talk about the mesh. It’s called both geo mesh and deco mesh. Quite honestly, I don’t know the difference in the two terms. They seem to be used interchangeably by crafters, so maybe there isn’t a difference. Perhaps it’s just a regional thing. Deco mesh or geo mesh comes on rolls. You can find the rolls of mesh at craft stores and even at Walmart. The mesh is made of poly, and some is safe to use outdoors, while other types are for indoor use only. If the mesh is to be used indoors only, the package label will usually provide that information. The great thing about mesh is that it tends to hold its shape well. It comes on a roll, and even after it’s unrolled, it wants to go back to its former position. You’ll use this characteristic to your advantage! Deco mesh and geo mesh come in different widths, different colors, different patterns, and different finishes. Some are matte, some are shiny, some have glitter, some have stripes, and some are metallic. 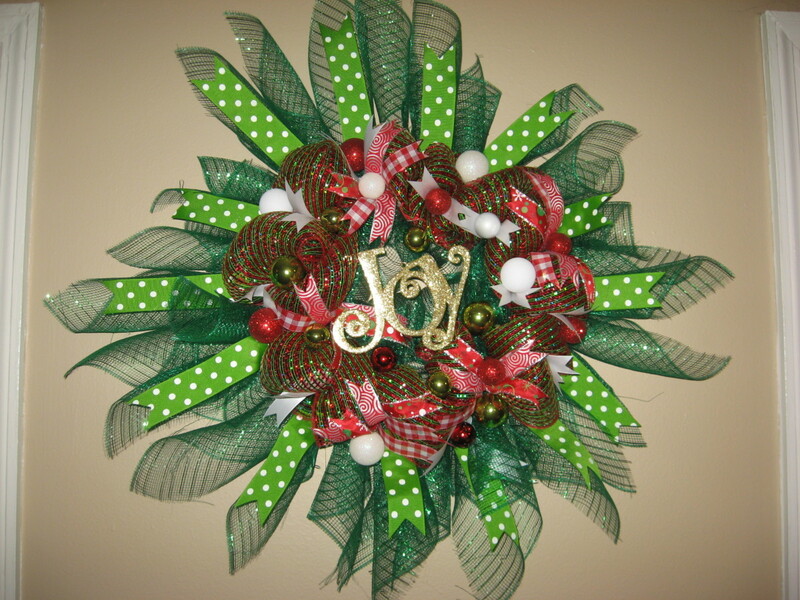 Sometimes it’s a good idea to use different colors and finishes in the same wreath. First, of course, you’ll need to gather your materials. You’ll need the mesh, a wire wreath form, some pipe cleaners or chenille stems, and a good pair of scissors. That’s it! 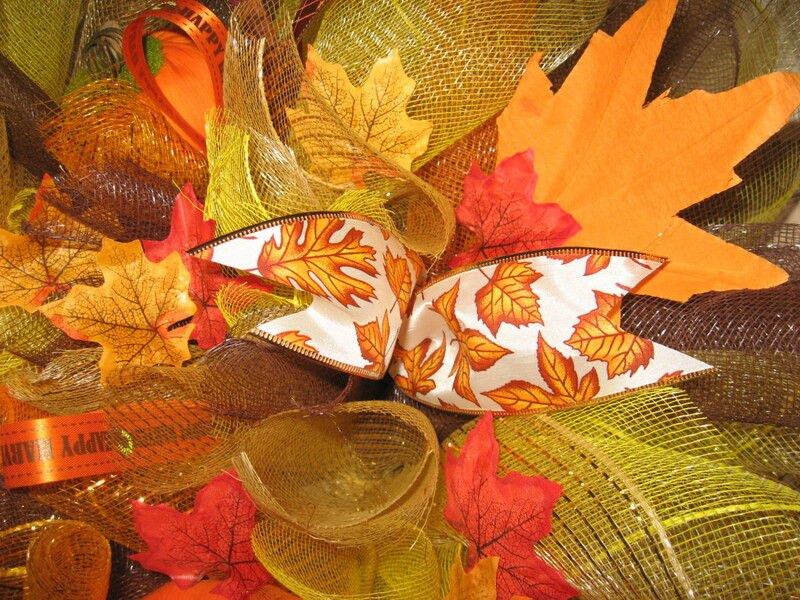 With these supplies and materials, you can make a basic mesh wreath. The object is to secure the mesh to the wreath form with the chenille stems. But there are several different ways to accomplish this, and the way you do it is going to determine the appearance of your wreath. The easiest and quickest way is by making a running series of loops with the mesh. I like to start with the outermost or second outermost ring. 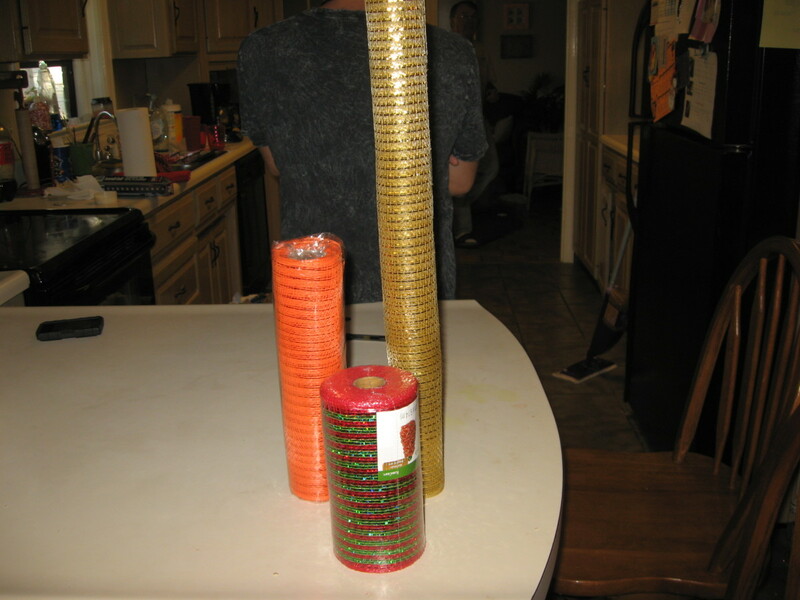 Begin by securing the end of the roll of mesh with a pipe cleaner. You can also use wire. Some crafters like to twist the wire on top of the mesh, but I like to make the twist underneath. Once the mesh is twisted securely to the wreath form, you’ll need to “bunch up” some of the mesh roll and secure it to the form again. You’ll continue doing this until the outer ring is covered with the mesh. When you get to the end of the ring, cut the mesh with scissors and secure the end to the wire wreath form. At this point, you might want to stop, if your wreath is full enough. If it’s not, you’ll need to repeat the process on one of the two inner rings. You can continue with the same color of mesh, or you can use a different color. Another type of deco mesh or geo mesh wreath is one made of rolls. To make this type of mesh wreath, you’ll cut sections of the mesh, roll them up, gather two or three together, and secure them to the wreath form with wire or chenille stems. 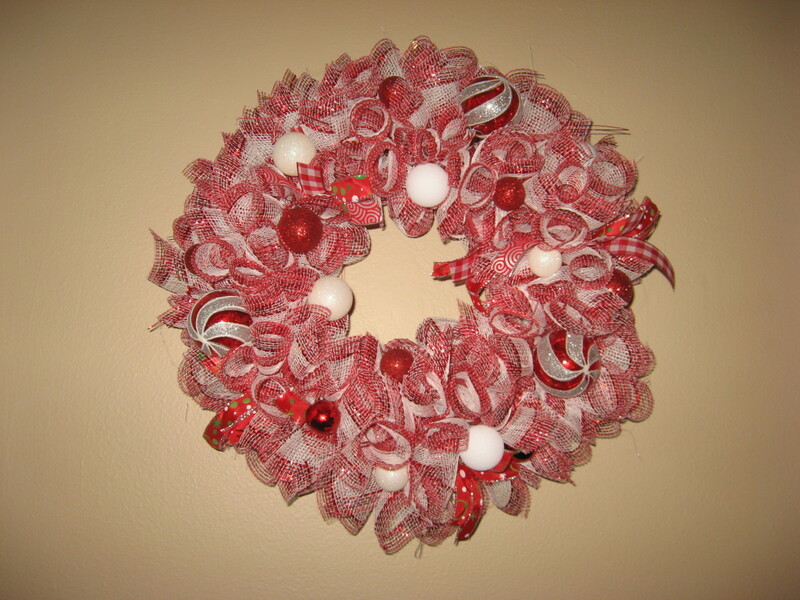 Yet another type of mesh wreath is the spiral wreath. 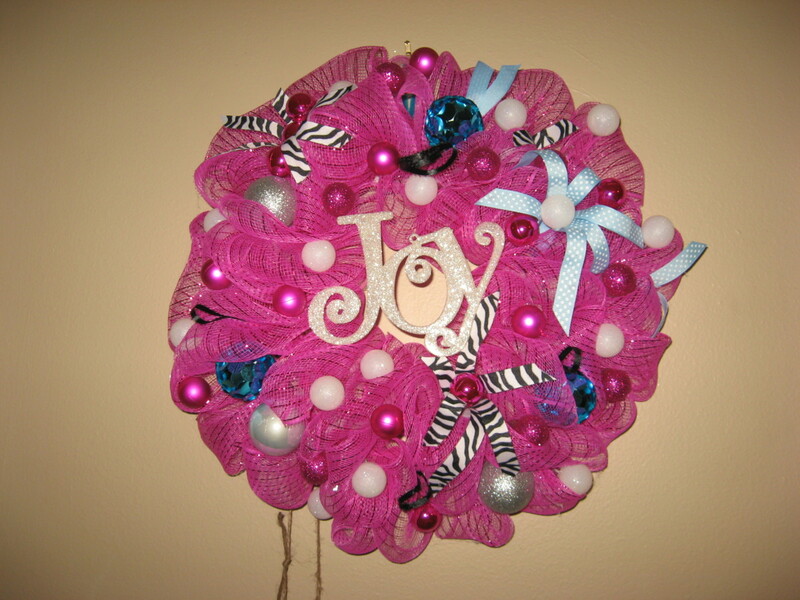 It’s made by using spiral rolls of the mesh, and it’s my favorite type of wreath to make. To make this wreath, cut sections, all about the same length, of mesh. For each section, grab an inside end and an outside end. In other words, you want to grab diagonal ends of each rolled section and pull. You’ll wind up with rolls that have pointed ends. Gather together two or three pointed rolls and secure them to the wreath form. 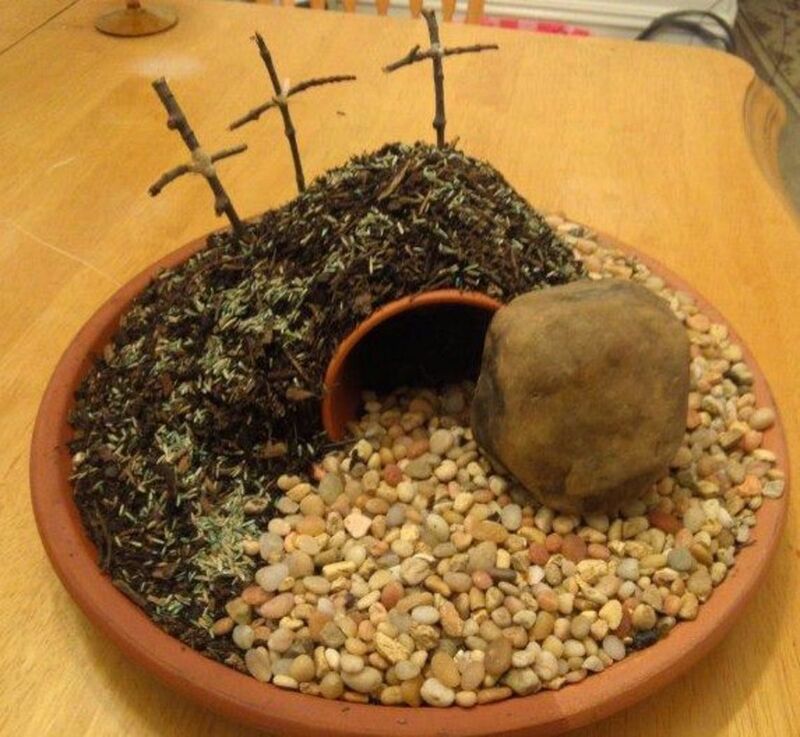 Continue until the wreath is full, with no exposed wire form. 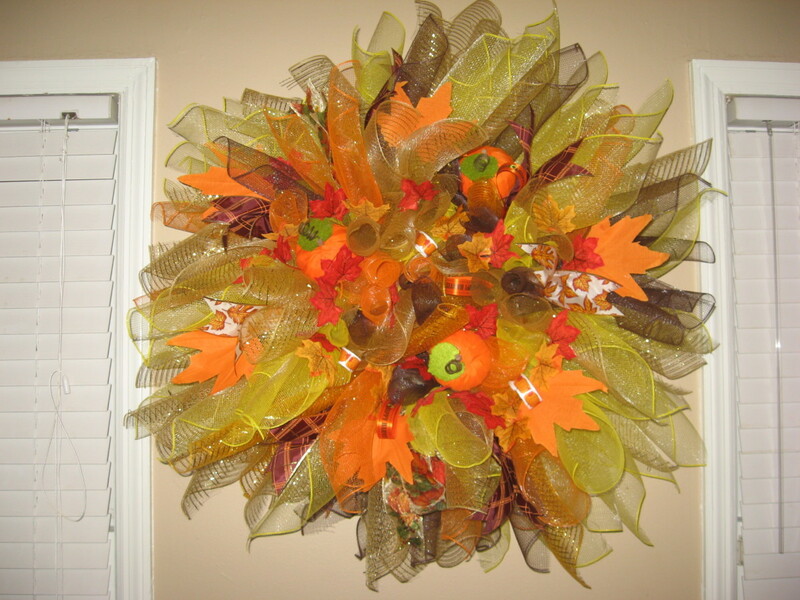 No matter which type of mesh wreath you choose to make, you’ll need to make some adjustments once it’s finished. For one thing, you’ll probably want to clean up the underside of the wreath by clipping the ends of the pipe cleaners and tucking them under. I also like to add a hanger on the back, made with a pipe cleaner loop. After that’s done, my advice is to hang the wreath on a wall so you can get a good look at it. Make adjustments: fluff it up, slide some of the sections closer together or farther apart, and twist some of the ends around to where you want them to go. The ends of the mesh catch on everything! Wear close-knit clothing when working with the mesh. Choose the size of your metal wreath form carefully. 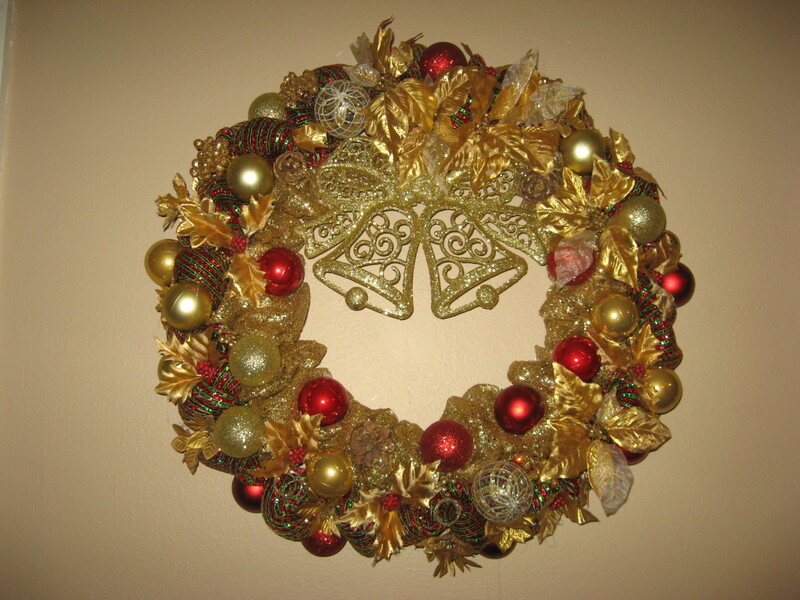 Even a small form will make a fairly large wreath because the mesh extends much farther than the form. The closer you place your sections of mesh, the fuller your wreath will be. 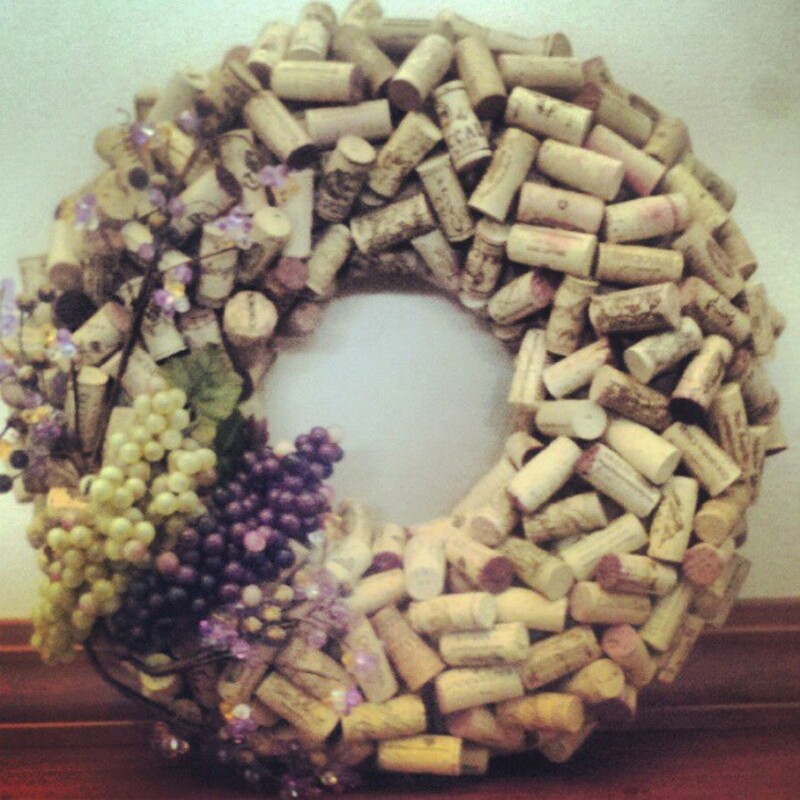 When you begin your first wreath, it probably won’t look “right” to you. Don’t give up! The wreath will look a lot different once you get all your mesh sections attached. When attaching hot glued items, try not to get glue on several sections of mesh at once. If they’re glued together, they won’t be as fluffy. Search your local dollar store for wreath decorations. When your wreath is done, you might need to do some trimming with the scissors. Clip any stray strands of mesh. 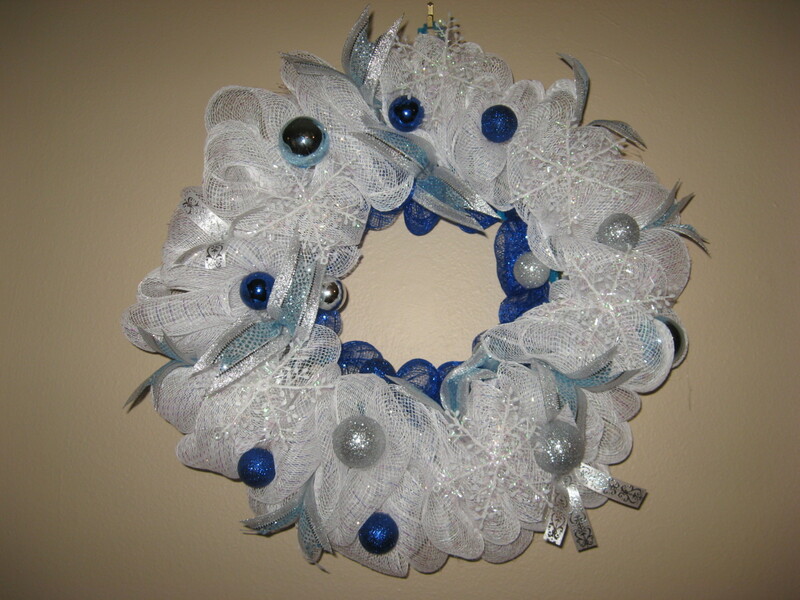 If you use hot glue for adding items, hang up your wreath and look for skinny strands of glue. Pull them off with your hands. 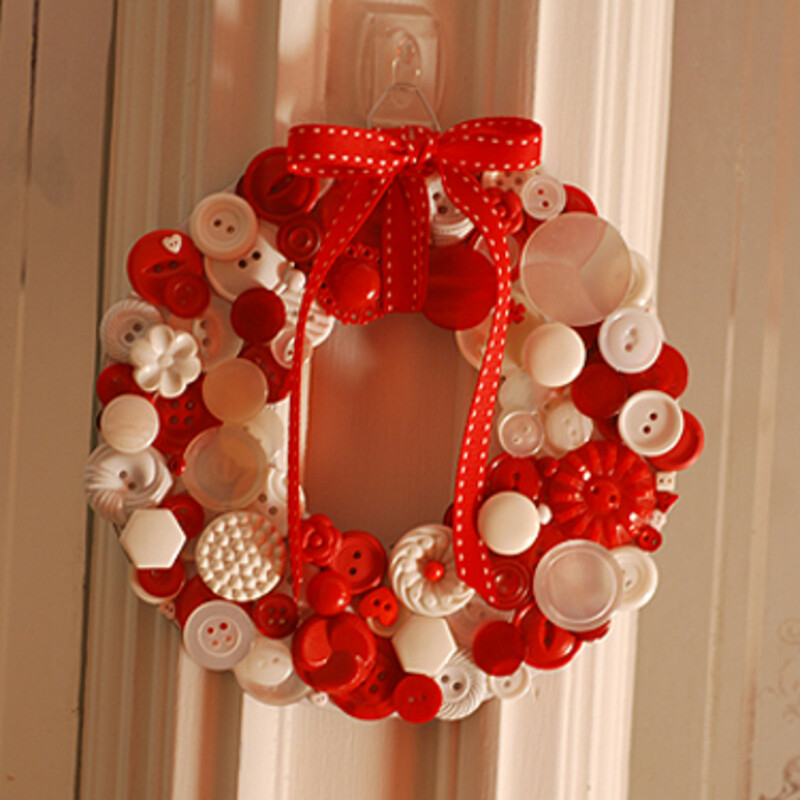 Once your wreath is made, you’ll probably want to dress it up! The possibilities are practically endless. Just be sure to use items that are fairly lightweight. Small items attached to picks are popular choices. All you’ll need to do is to cover the pick part with hot glue and stick the pick into the wreath. The hot glue will grab onto the mesh fabric and hold securely. Like I already said, making a geo mesh or deco mesh wreath isn’t complicated, but it can be hard – depending on the type of wreath you make. Does that make sense? What I mean is that making the wreath isn’t like algebra or calculus, but the process can be frustrating. Even though it’s pretty hard to make a major mistake, sometimes the process is a matter of trial and error. 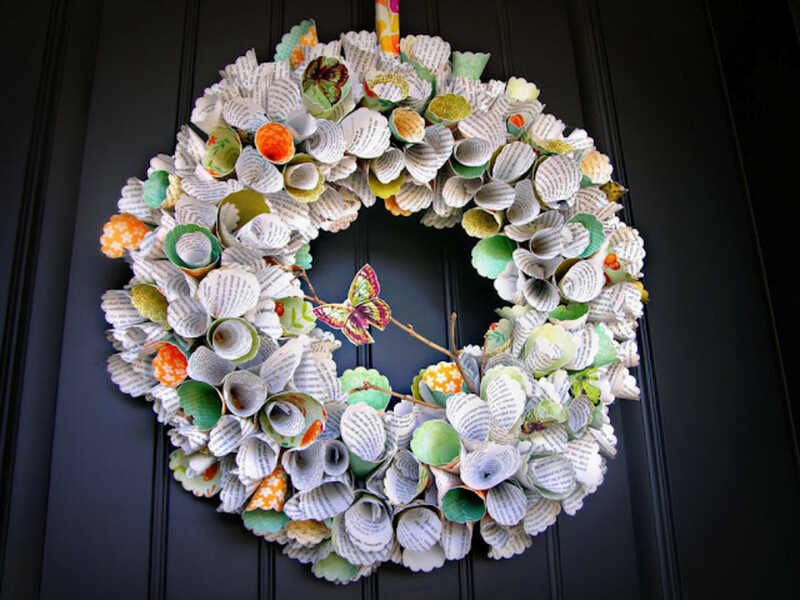 If you don’t like the way your finished wreath looks, adjust it first. If you still don’t like it, you can always re-do it. 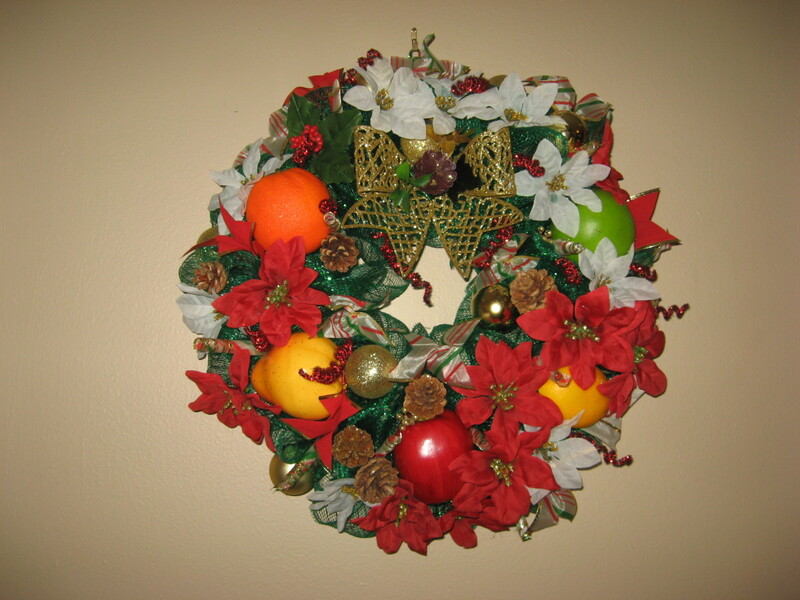 Before your undo the entire wreath, however, try re-working just problem sections first. You might not need to start over completely. 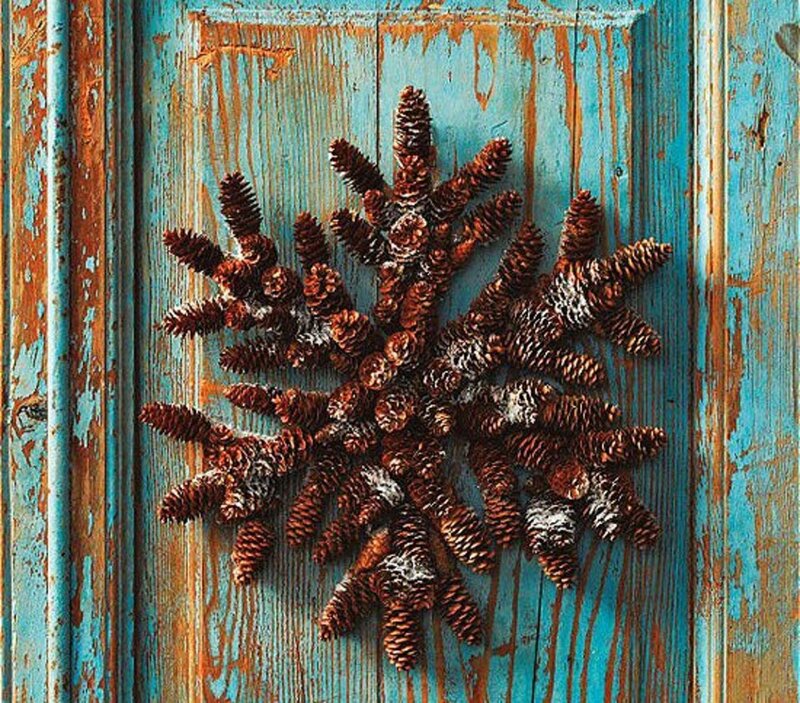 Remember to make your wreath fun and interesting by combining colors and patterns and by adding your own special touches with embellishments. Just do it! Gayle, I use hot glue. how do you put wooden figures on and they stay? Doris, I used the mesh from JoAnn's Stores. Clever idea, Holly. 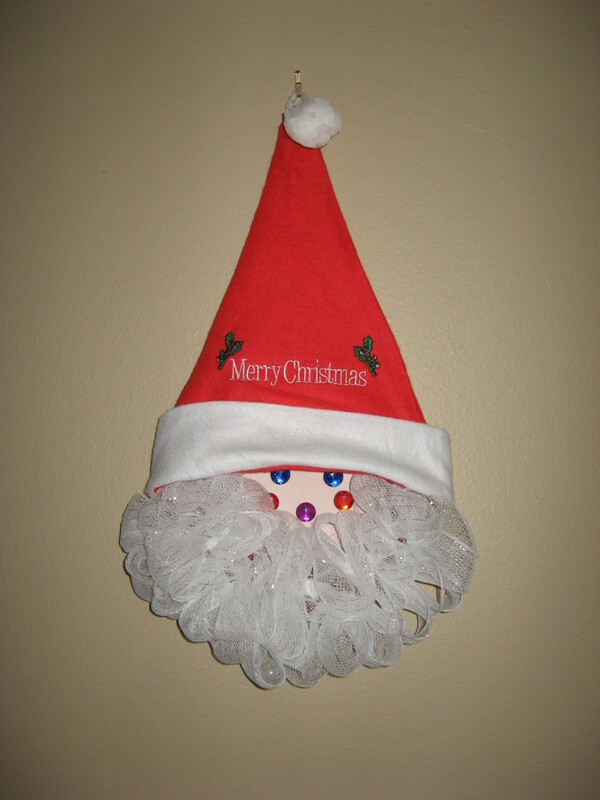 It's fun and crafty for any season or holiday. Voted up! Chelsea, thanks so much for your kind words! This was such a helpful guide. Filled with so many idea's I thought of but couldn't see in my head. All your beautiful wreaths made my creative mind get to work! Thank You! This Hub came just in time. It's very detailed. This will be my next project thanks to you. 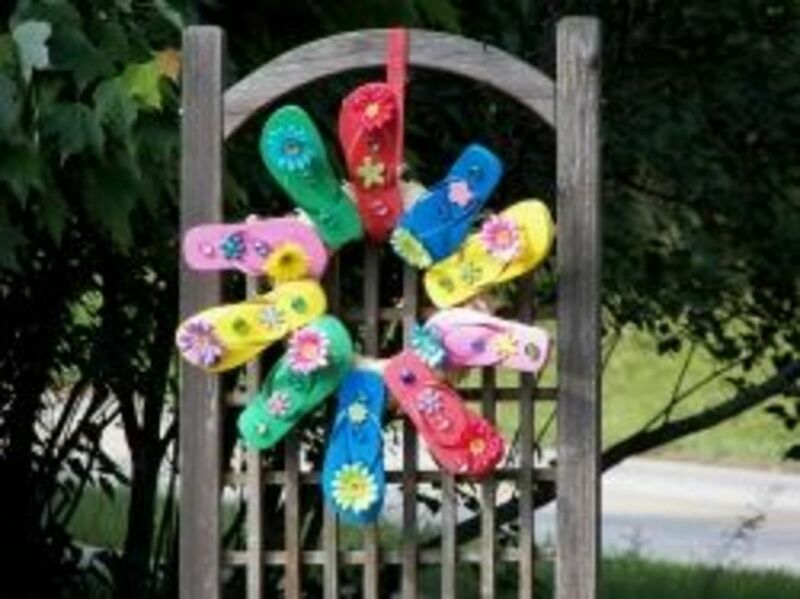 Great tutorial for this popular wreath concept! I love that there are so many ways to customize it.